Formula 1 based art. The first two are Sebastian Vettel and Lewis Hamilton. 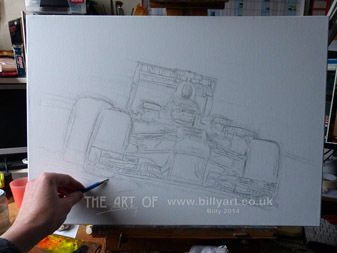 Possible future art projects may well involve some Formula 1 based art. It all depends on how much time I have left after producing my motorcycle based art. Following me on Facebook and twitter will keep you informed about any future art that I am working on.